Honeyguide has stopped advertising in BBC Wildlife until the magazine stops arriving in plastic wraps. I still have the July 2018 BBC Wildlife in which it says: “Immediate Media Co (publisher of BBC Wildlife) is exploring non-plastic wrapping options for subscriber copies by looking at alternatives.” At first that seems positive … but then the same message has been in every magazine since, up to and including December 2018. Every Honeyguider knows about the challenge to reduce the volume of single-use plastic. The BBC knows about it too. It was the BBC’s Blue Planet that gave momentum to tackling this issue. The excellent BBC programme Drowning in Plastic programme with Liz Bonnin this autumn added further weight to the campaign. Immediate Media also publishes the RSPB’s Nature’s Home magazine. The RSPB, National Trust and Butterfly Conservation publications all come in compostable wraps. Easy to recycle paper envelopes are the other non-plastic option, used for the Honeyguide brochure, by some Wildlife Trusts and others. “Thanks for getting in touch with us about this. Immediate Media hasn’t jumped in immediately to change their magazine wrappers because the company wants to source a genuinely sustainable, low carbon-footprint and non-environmentally damaging alternative to the recyclable plastic it is currently using, rather than choose something that might not be what it appears if you delve beneath the surface. Some vegetable-based wrappers, for instance, can produce a lot of damaging methane and have a surprisingly high carbon footprint. There are other, more environmentally friendly solutions being produced in Europe, but there are apparently hardly any UK companies supplying them at the moment. Thoroughly studying what’s available is important and we are investigating our options. We’re looking to change from the film we currently use, but it won’t necessarily be what other magazine publishers have chosen, and the intention will be to source it in sufficient quantity without adding to deforestation or air miles. We can only guess what the magazine's real reasons are, but cost and resistance to change are likely to be key, especially if any change has to be agreed across the stable of BBC magazines. There is more single use plastic around than just magazine wraps, of course: it’s tough to avoid bringing a lot home from any supermarket shop, for example. Nonetheless, this kind of switch is an obvious quick win, a bit like boycotting plastic-stemmed cotton buds or drinking straws, or using reusable shopping bags. BBC Wildlife magazine has a lot of good content. 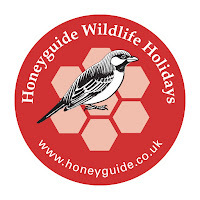 It also has a ‘contact us’ list on its welcome page and I invite other readers of the magazine to add their voice to Honeyguide’s. Travel Weekly is switching to a potato starch wrapper. It's a trade publication I get and yes, I have been gently nagging. Birdwatch magazine is also switching for subscription copies. BBC Wildlife and Birdwatching magazines remain intransigent.